Heat a medium sized frying pan with olive oil. Add the garlic, onions, tomatoes and jalapeño and sauté until the onion is softened and the garlic is fragrant. Add the beans, parsley and the seasonings and sauté until the beans are heated. Heat the Frank's Kraut in a saucepot. Cook the hot dogs as desired; grilled or boiled. 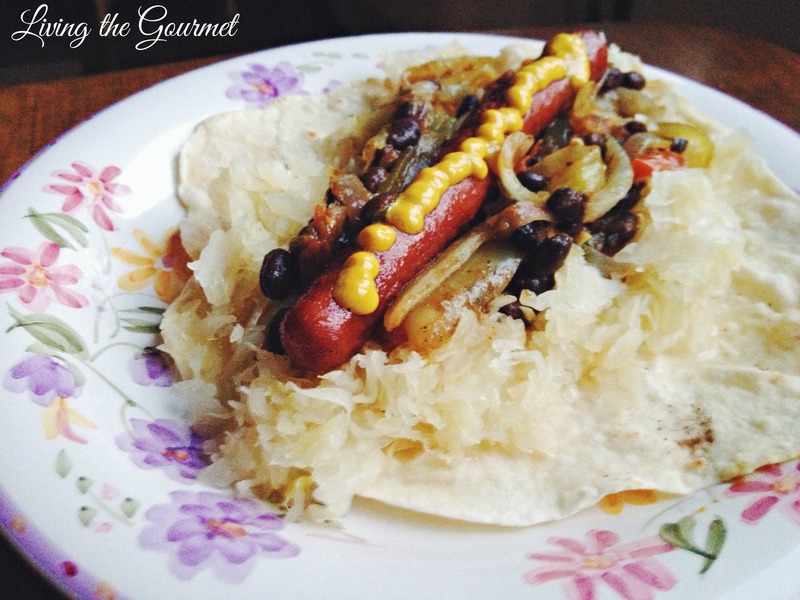 Plate the flat bread topped with Frank’sKraut next the beans and finally the hot dog. Garnish with mustard or your favorite condiment.